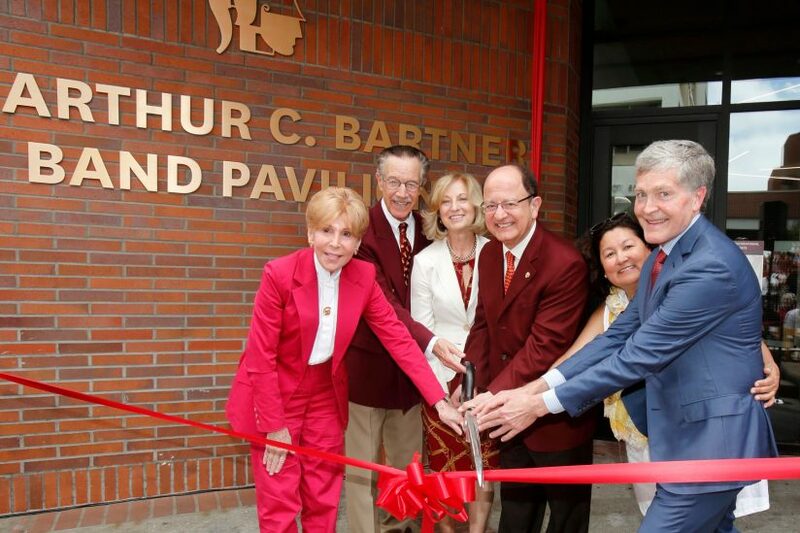 The USC Trojan Marching Band’s new facility was named the Dr. Arthur C. Bartner Band Pavilion at its official ribbon-cutting today, President C. L. Max Nikias announced. 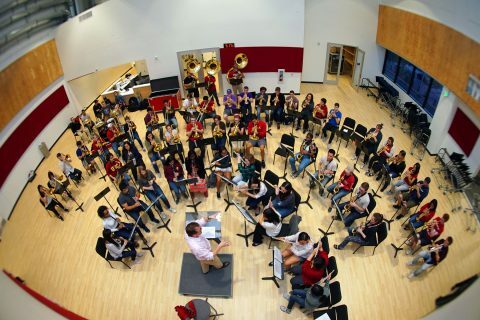 Built on the second floor of the Lyon Center, the 7,000-square-foot facility is the first dedicated space for the student members of the band in the organization’s 138-year history. 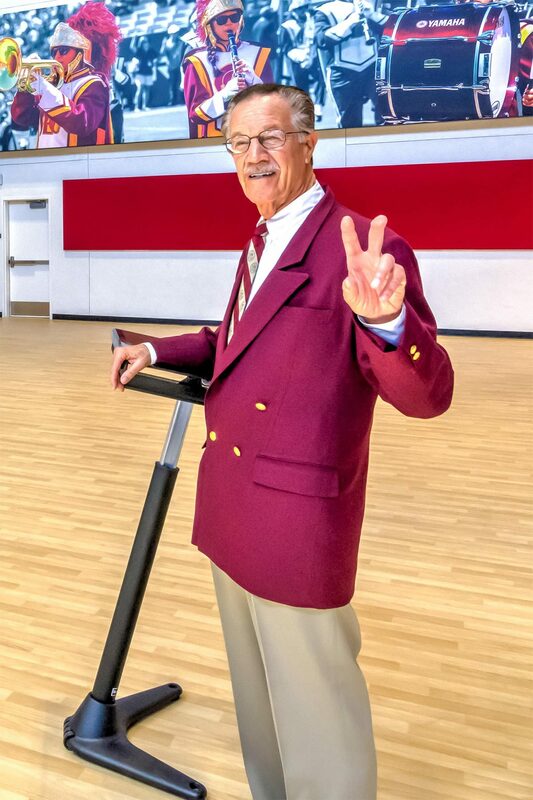 The naming of the pavilion for Bartner, the Trojan Marching Band’s director since 1970, was made possible by a lead gift from USC alumni Stephen G. Johnson and Rosemarie Torres Johnson. The Dr. Arthur C. Bartner Band Pavilion includes dedicated men’s and women’s locker rooms, instrument and uniform storage, a spacious student lounge and a rehearsal space. 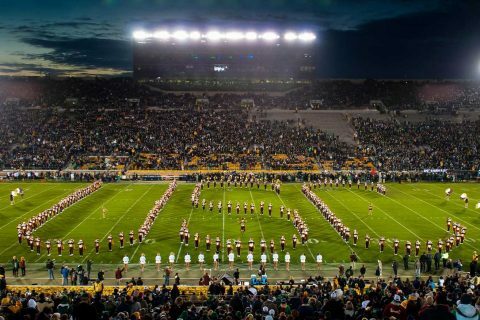 Previously, band members changed in the cramped administrative office in the basement of Stonier Hall and practiced wherever space was available on campus. In the fall of 2016, band members Corey Dennis and Emily Moneymaker brought these challenges to the attention of President Nikias at a student meet-and-greet. After Nikias toured the inadequate space, he vowed to find a new venue for the program. The space opened to students earlier this year after six months of renovation. “This is a dream come true,” Bartner said. “I’ve been trying to find a dedicated space for our students since I came to USC. I’d like to thank President Nikias for making this happen and the two students that called attention to the needs of this band program. Stephen Johnson graduated from USC in 1980 with a degree in economics and Rosemarie Torres Johnson graduated in 1982 with a degree in public relations. Stephen would never have come to USC if not for an encounter with Bartner as a senior at Artesia High School in Lakewood. He was a clarinet player in the marching band when Bartner came to the high school campus. Bartner talked him into applying to USC and joining the Trojan Marching Band. 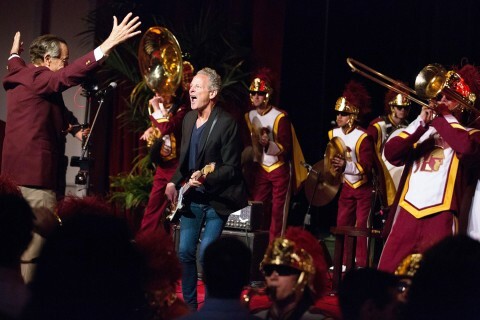 The opening of the pavilion comes in the midst of the $20 million USC Trojan Marching Band Initiative Honoring the Legacy of Arthur C. Bartner, an effort to secure the future of the organization beyond Bartner’s retirement after 50 years as director in 2020. 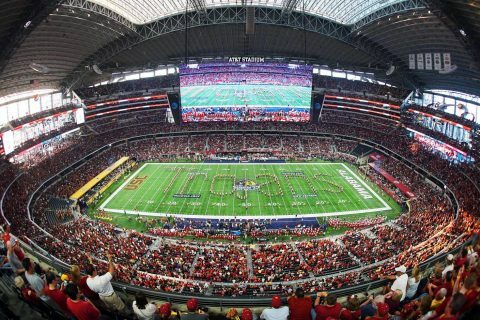 In addition to improving the band’s facilities, the initiative aims to endow scholarships for every band member, support the band’s football trips and help renew and upgrade its inventory of instruments and uniforms every eight to 10 years. Whether it’s by bus, plane or train, The Spirit of Troy has attended every Trojan football game from Honolulu to Happy Valley since 1987.